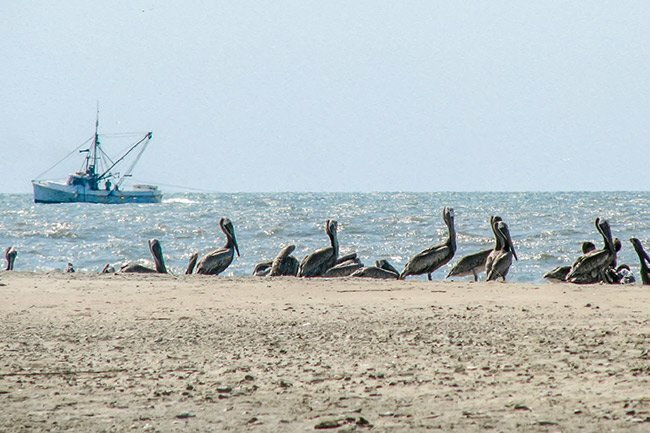 Cape Romain National Wildlife Refuge was established in 1932 as a migratory bird refuge. 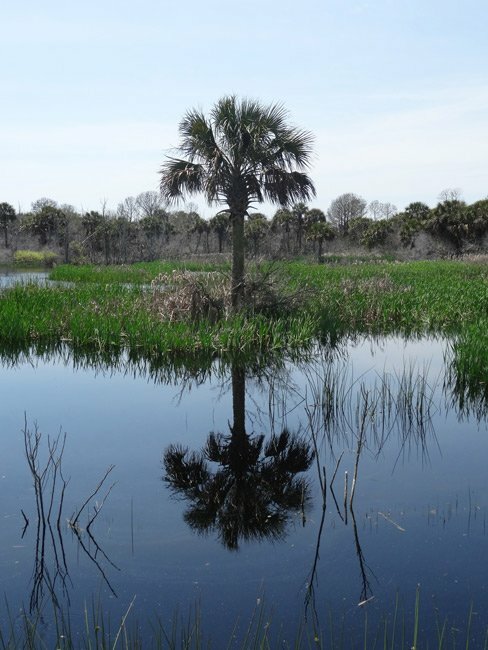 Its 66,267 acres stretch along the southeast Atlantic coast and include barrier islands, salt marshes, and maritime forests. 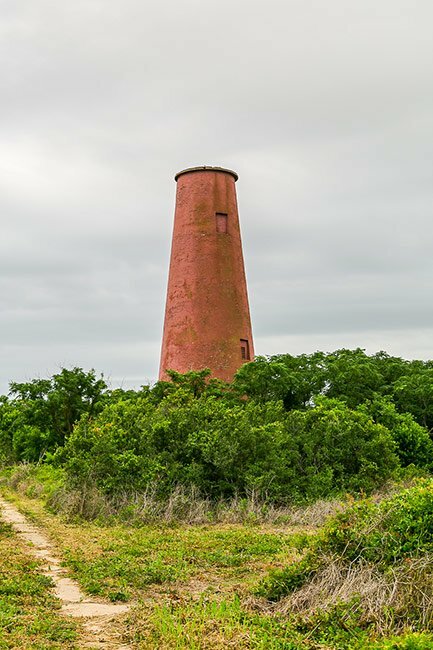 Popular spots within the refuge are Bulls Island, Cape Island, Raccoon Key, and Lighthouse Island – where two lighthouses from the 1800s still stand. 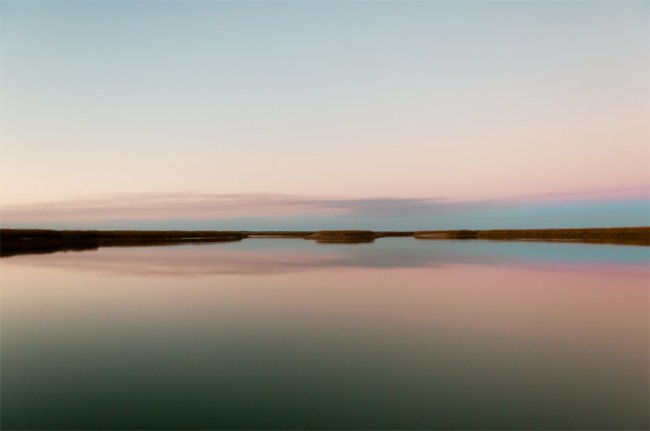 Cape Romain’s original objective was to preserve the habitats of native bird species, but it has since expanded to protect other species – especially endangered ones. Today, the refuge actively participates in recovery efforts for the threatened loggerhead sea turtle – South Carolina’s State Reptile. 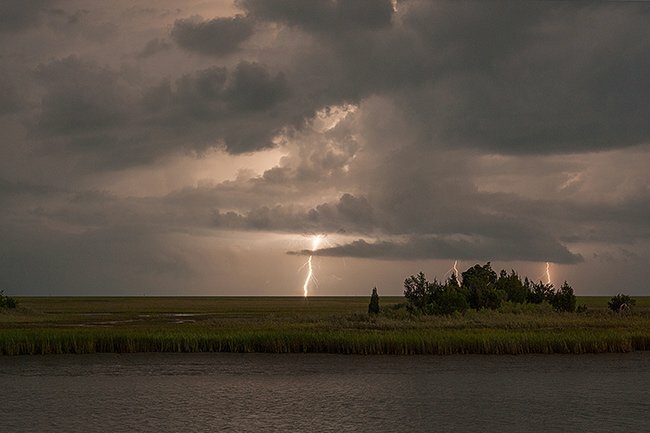 Cape Romain is located 20 miles north of Charleston off US 17 between Awendaw and McClellanville. The majority of the refuge is accessible only by boat; visitors can use the public landing or ferry service. 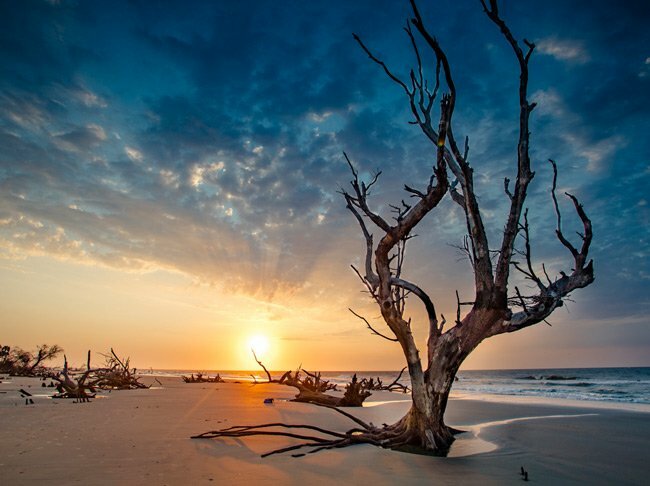 Shown here is Cape Romain’s renowned Boneyard Beach. Located on Bulls Island, the beach gets its name from the fallen trees and eroded roots that decorate its shore. Many of the trees are live oaks (Quercus virginiana). Over time, they have been bleached by salt and sun. Although the bleached oaks are fascinating, birds are actually the biggest draw for visitors. 277 different species can be found on or near the island. 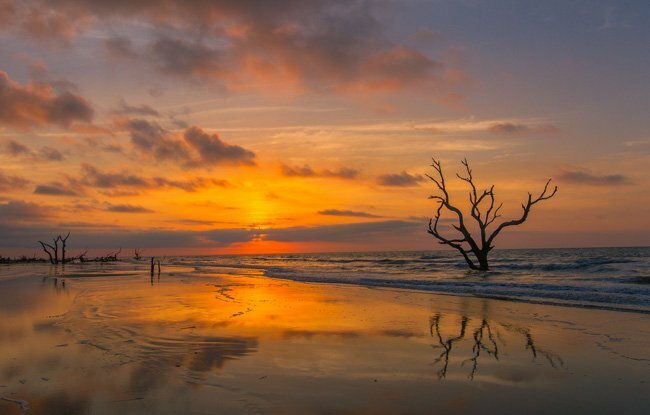 While the Lowcountry once had several options for “boneyard beaches” this one remains one of the last of the area. 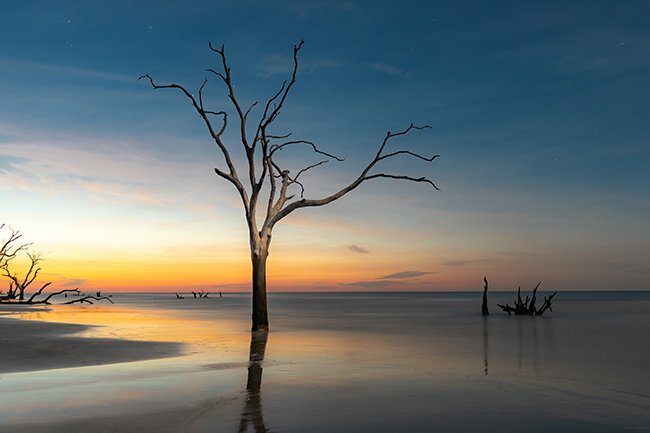 Similar beaches were once found at Botany Bay and Hunting Island State Park but have been badly damaged by eroision — a boneyard beach still remains at Dewees Island, a private community only accessible by boat. 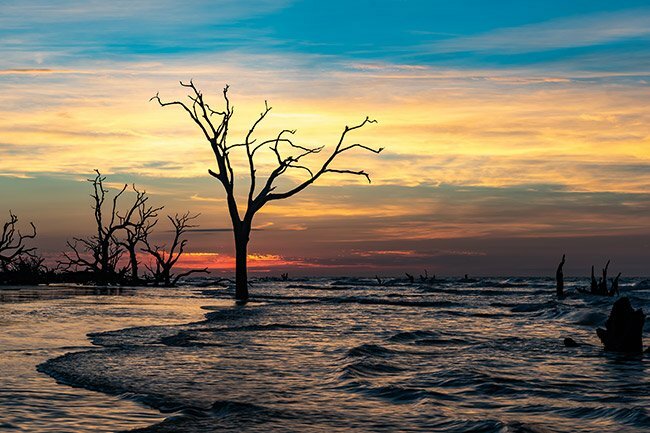 The Northern end of Bulls Island still remains a fan favorite for these ominous yet beautiful trees, rising from the surf. Artists and nature lovers alike flock to this end of the island specifically to catch a glimpse of this slowly vanishing natural landscape. 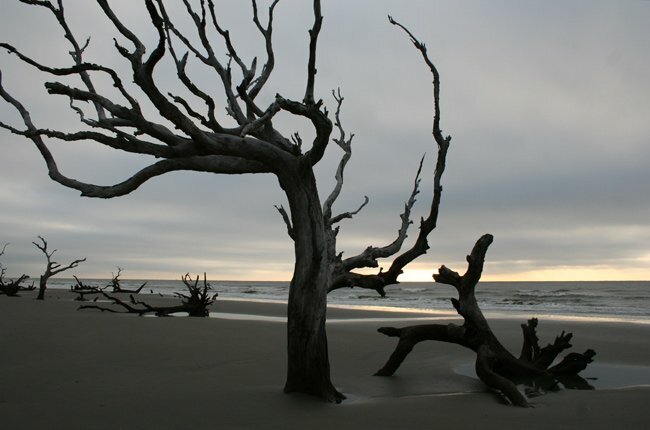 On Bulls Island, the largest island within Cape Romain, you will find maritime forests, salt marshes, and the expansive Boneyard Beach. Deer roam its 5,496 acres, along with alligators, raccoons, and squirrels. 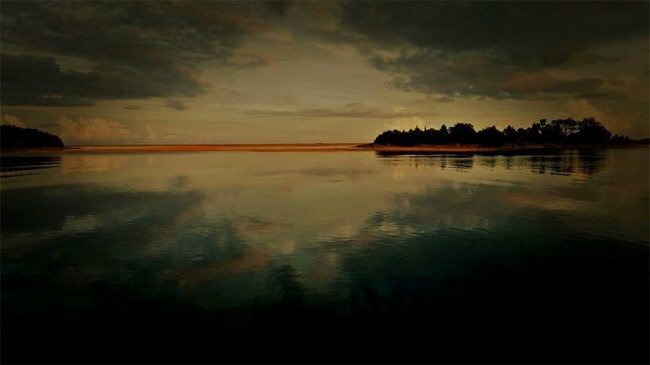 Bulls Bay was once known as a hideout for pirates who plundered the coast. 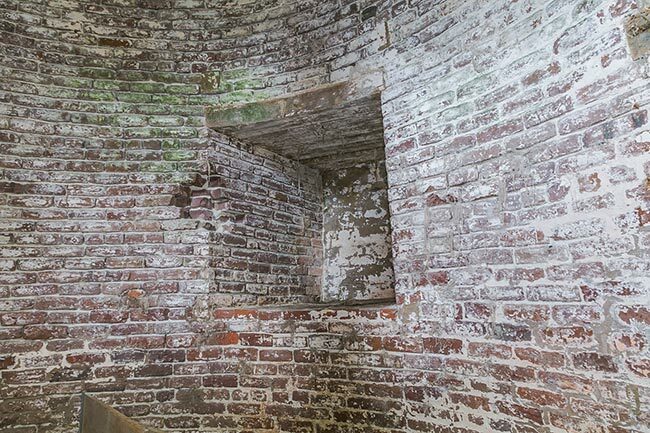 The ruins on Bulls Island are believed be a martello, built in the early 1700s to serve as a lookout tower. 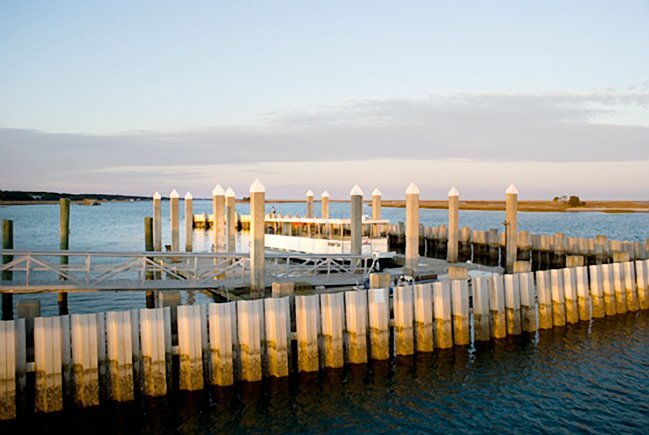 In 1925, New York banker Gayer Dominick purchased Bulls Island as a private hunting preserve. He built a house there and made improvements to attract birds. 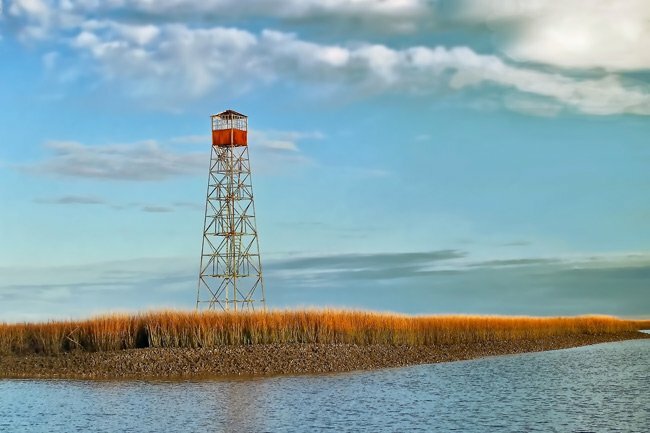 In 1936, Dominick gave the island to the US Fish and Wildlife Service so that it could become part of the Cape Romain Refuge, which was established four years earlier. More recently, Bulls Island played a large role in the successful recovery of the endangered red wolf. The red wolf – which gets its name from the reddish coloring around its head, ears, and legs – was on the brink of extinction in the 1960s due to hunting and loss of habitat caused by development. The island’s isolated location made it the perfect place to help restore the red wolf population. In 1978, the first two wolves, named John and Judy, were released. They gave birth to two more wolves, who were able to learn basic survival skills before being moved to Alligator River National Wildlife Refuge in northeastern North Carolina. The Bulls Island breeding program closed in 2005, after 26 red wolves were born and successfully released into the wild. Today, the red wolf population continues to thrive in northeastern North Carolina. It is the only place left in America where these animals exist outside of captivity. The island is named for Stephen Bull, a distinguished Englishman who came to North America sometime between 1669 and 1670 aboard the frigate The Carolina. He was one of the first white people to visit the island, and he is also credited with being one of the first white settlers in South Carolina. Incidentally, this is probably a good place to note that the island’s official name is Bull Island, not Bulls. We refer to it as Bulls because that is what most people along the South Carolina coast call it. There is no apostrophe. Kevin Godsea, Refuge Manager at Cape Romain, laughs and says, “That’s an age old question!” But like most people, he himself calls it Bulls, even though he knows it may not be technically correct. 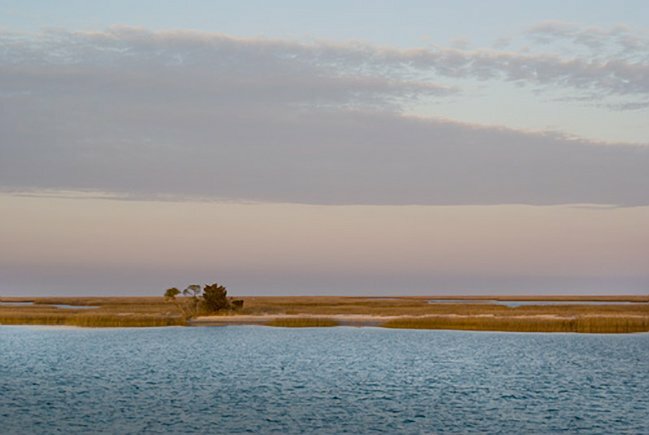 The majority of the Cape Romain is only accessible by boat, canoe, or kayak. Cape Romain does have a public boat landing, but for those without their own aquatic transportation, the Bulls Island Ferry operates exclusively within the refuge. It launches from Garris Landing for a 30-minute cruise to Bulls Island. Once there, hikers, nature-lovers, and bird-watchers can explore 16 miles of footpaths. Endangered animals like the wood stork and the loggerhead turtle inhabit the pristine barrier island, along with a multitude of egrets, herons, pelicans, and other shorebirds. Bulls Island is also home to Boneyard Beach, where fallen oaks and eroded roots have been bleached white by the salt and sun. 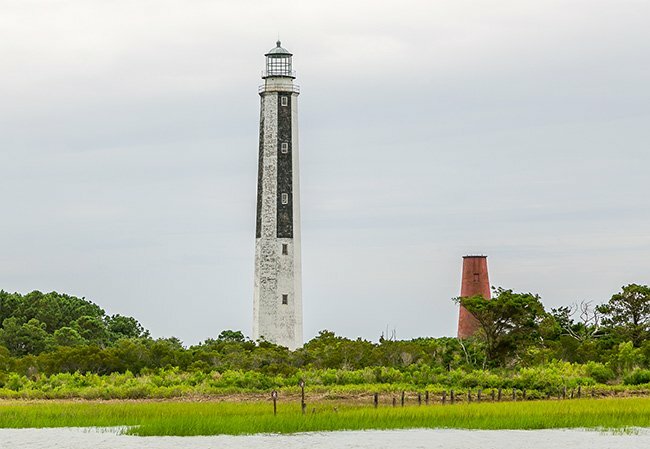 Lighthouse Island, located within Cape Romain National Wildlife Refuge, is accessible only by boat, and navigation to the island is discouraged for less experienced boaters. However, the Bulls Bay Ferry can take you to this and other popular islands in the refuge. 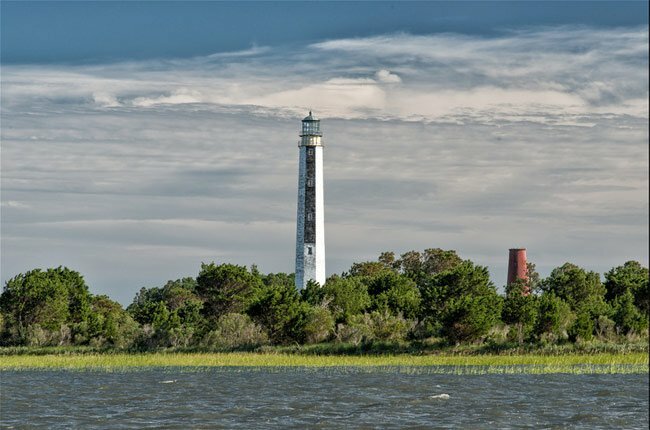 The island is located approximately six miles offshore from McClellanville, and for years its lighthouses have served to alert boaters of a nearby sandbar. 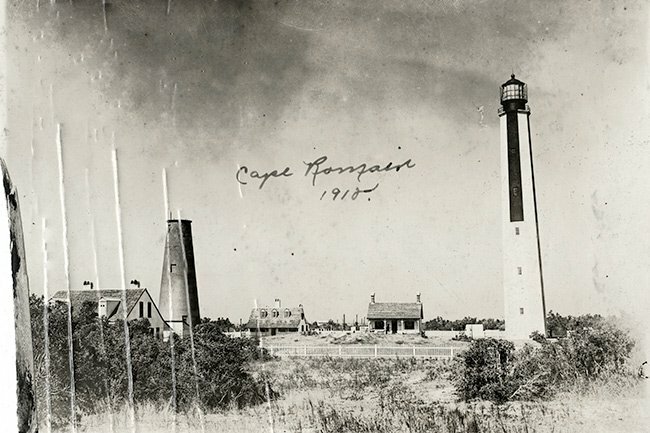 The smaller, red brick lighthouse on the right was constructed in 1827 and is 65 feet tall. Unfortunately, it did not have a very strong light and wasn’t able to warn ships effectively. A new 150-foot tower, equipped with a Fresnel lens, was built next to the old lighthouse in 1857. The two lighthouses are seen below in this 1918 photograph from the Kaminski-Prevost Collection at the Georgetown Digital Library. Note the three dwelling houses that once existed as well as a boathouse (not pictured). After the first shots of the Civil War were fired at Fort Sumter, Confederate forces removed the lens and damaged the newer tower so Northern forces would not benefit from its signal. The lighthouse was repaired once the war ended, but it began to lean precariously due to a design flaw. It was decommissioned in 1957, and both of these lighthouses are currently closed to the public. The troublesome sandbar is now well marked with buoys. 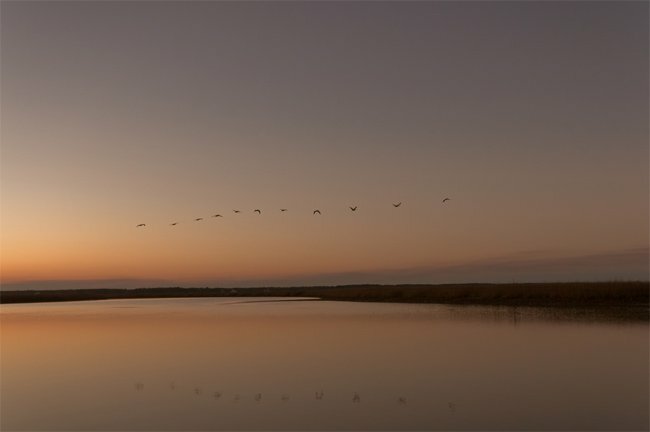 These sunset views of Sewee Bay were captured during late winter and early spring visits to Cape Romain. The first two show the crossing from Bulls Island back to Garris Landing, and the third shows the scene from Garris Landing itself. The area was home to the Sewee Indians for over 4,000 years, and it is in their honor that this bay is named. When English settlers landed at nearby Bulls Bay in 1670, the tribe welcomed them with food and supplies. However, in 1715 the relationship soured and the Sewee banded with the Yemassee to fight the English. Most of the Sewees were killed. Surviving members were caught and sent to the Caribbean as slaves. 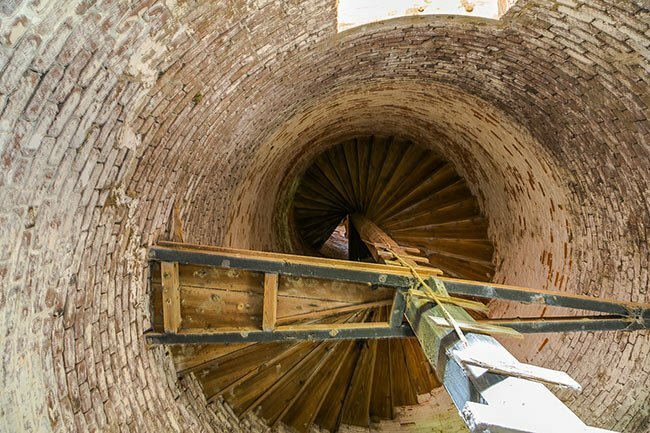 Lighthouse Island, historically know as Racoon Key, in the Cape Romain Wildlife Refuge, is the site of two lighthouses built in 1827 and 1857 by the United States Government. Constructed to warn shipping traffic of the Cape Romain shoals nine miles southeast of the island, the beacons provided constant protection, with the exception of the Civil War period, from 1827-1947. The lighthouses are significant for their major role in navigation and transportation in Charleston County and for their unique designs. 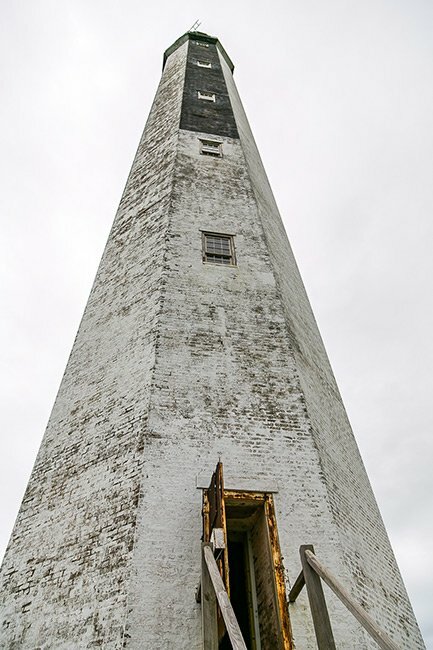 The 1827 lighthouse was a sixty-five foot conical brick tower painted black and white for daytime visibility. The focal plane was 87.5 feet above sea level and the beam was visible for 18 miles. 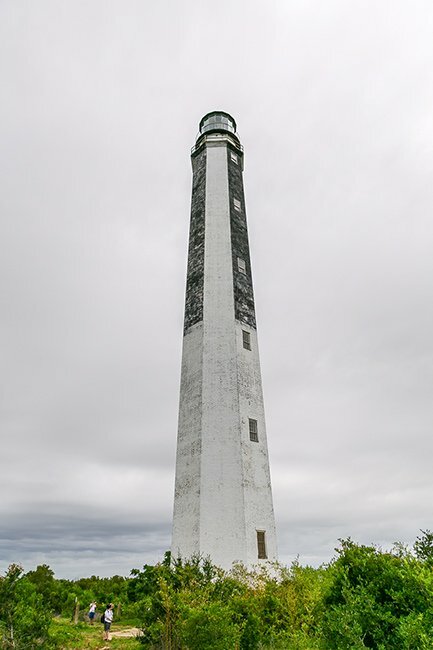 The second lighthouse, built in 1857, was a 150 foot octagonal, pyramidal tower with a focal plane of 161 feet above sea level. The first order Fresnel lens system cast a beam visible for nineteen miles. Originally natural brick, the tower was later painted with the bottom half white and the top half black and white for daytime use. The interior features an iron spiral staircase leading to the lamp house. The lamp house retains its revolving lamp platform, exterior balcony with iron railing and circular brass roof. Keepers’ residences and other support buildings associated with the later lighthouse were destroyed in 1947 when the lighthouse was last lit. always amazes me every time I go. You must get up really early to get a sunrise here. This requires you to get the ferry from Coastal Expeditions at 4:00 a.m., then a truck ride from the dock in the complete dark (3 miles), then you come to beach. All I can say is, wow, this place is amazing and glorious. I am very thankful to live close enough to visit often. There is just the one Bulls Island Ferry to take and everything else must be reached by foot. If you are planning on just seeing the Boneyard Beach, there is a beach drop off once a month. You can read more about tour offerings here: https://www.coastalexpeditions.com/product/bulls-island-ferry/. I would like more information on how long you can stay on the island if you take the ferry and what all is reachable once you get there. Or, do you have to take different ferries to the different sites? Thanks. Please read my other comment and send me any answers to my question. 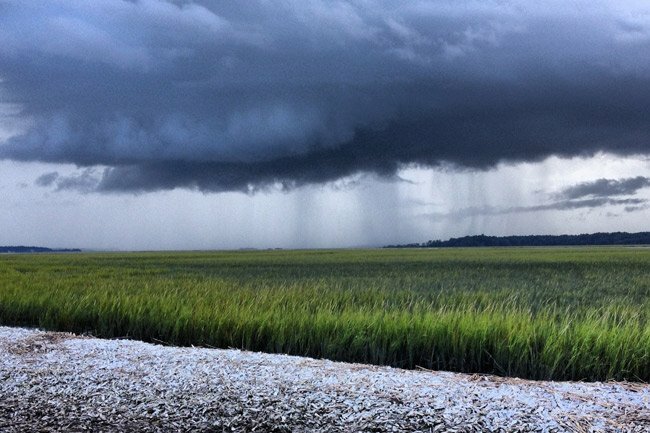 We just visited Cape Romain…mostly because of the name…and found it most interesting, exciting and beautiful. 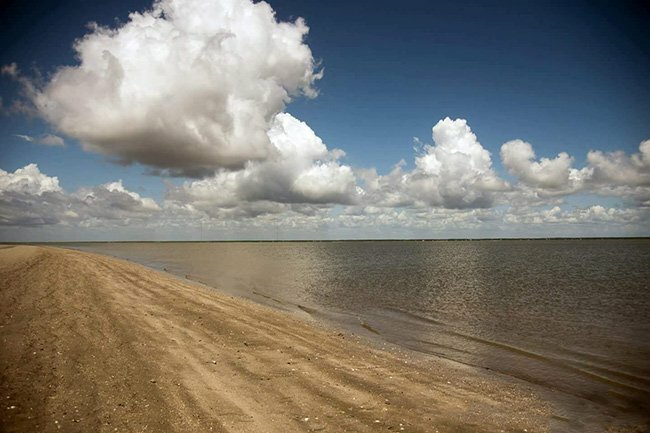 Still am wondering how it got its name…who named it Cape Romain and why Romain? We got to see 4 alligators up close…they didn’t bother us and we didn’t bother them. I am on oxygen so we didn’t journey too far just to the beach and back. The other passengers told us of all they got to see on all the other trails. I am looking for a place called KIP BEACH that I saw on a TV show. It is supposed to just be a beach with nothing but sea shells. Can you help me? Thank you, Allston! SCIWAY has traveled to McClellanville to met Mr. Hill and see the museum, and we LOVE hearing stories about the old boats that are so important to our coastal heritage. Please see our gallery of McClellanville photos here, and feel free to send along any others you might like to add! My husband and I have recently purchased a fishing trawler named the Cape Romain. She was built in Morehead City in 1956 and was a vessel in your area for years. We would love to know anything you may have about the area in the late 1950s.